Mohamed Salah. Who is he? Mohamed Salah Ghaly or “Mo Salah”; as he’s worldwide known now; is a Muslim Egyptian professional footballer, born on 15th June 1992 in Nagrig, Basyoun, Gharbia, Egypt. He plays as a forward for the English Club Liverpool and the Egyptian National Team. He is a part of a phenomenon called “Muslim Extraordinaire”. Most importantly, he is now competing with Lionel Messi for the Golden Shoe award and helping to lead Liverpool to reach the Champions League final where the Reds face Real Madrid in Kiev on May 26. We now know who he is, but when, where and how did Mohamed Salah get to where he is now? Between 2010 and the present date (May 2018), he moved from El-Mokawloon Club in the Egyptian Premier League to Basel of Switzerland, Chelsea in 2014, Serie A clubs Fiorentina and Roma, Liverpool in 2017 for -a then club-record fee- of £36.9 million. There he developed into a complete forward, became the first player ever to win three Premier League’s Player of the Month awards in the same season, got named in the 2017–18 PFA Team of the Year and as the 2017–18 PFA Players’ Player of the Year. 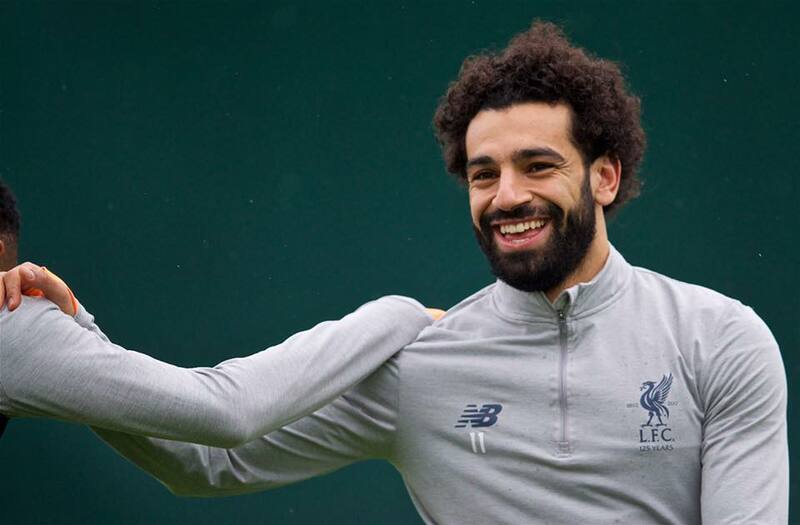 Internationally, Salah was awarded the CAF Most Promising African Talent of the Year in 2012, became the top scorer during CAF qualification for the 2018 FIFA World Cup, and was named CAF African Footballer of the Year and the BBC African Footballer of the Year. Mohamed Salah was also selected in the CAF Team of the Year and Africa Cup of Nations Team of the Tournament. Now early June 2018, Mohamed Salah has been shortlisted for the Premier League Player of the Year award, in association with EA Sports. He is competing for the Golden Shoe 2017-2018 award along with Lionel Messi. His Market value is 80 Million English pounds. And, if you Google Mohamed Salah in English you get 2,370,000 results and if you Google (محمد صلاح) in Arabic you get 5,670,000 results. About the Ballon d’Or itself, he said: “I know all of the Arab people wish the best for me, and they are happy every time I win, but now at the moment I am only thinking about the final and to bring the trophy to Anfield.” The 25-year-old also recognizes the prestige that comes with being the first African player to win the FWA award in its 70-year history. We have the “who”, the “when, where and how”, now all we need is the “why”. Why did Mohamed Salah succeed? We mainly have two points of view on the secret behind Mo Salah’s humongous success. People attribute Mohamed Salah’s success to his work ethics, hard work and talent, while other people attribute his success to his personality and manners, so it’s basically God’s favor on him. So, read on and tell me what you think. On one hand, Mo Salah has been praised and complimented worldwide; not only for his professionalism, immense talent, leadership, dedication, and hard work, but also for his good manners, modesty and kindness. Mo Salah is nicknamed “The Egyptian King”. Songs are sung with his name saying “If he scores another few, I’ll be Muslim too”. Newspapers, for example, “The Guardian” has devoted an article discussing Mohamed Salah’s rise saying, “It’s difficult to overemphasize his popularity – his face is everywhere”. The “Independent” published an article saying, “Salah has 43 goals and 15 assists to his name this season and has been touted as a rival to Lionel Messi and Ronaldo for this year’s Ballon d’Or.” The CNN sport had this interview that showed how nice and humble he is, yet smart and professional. On the other hand, Mohamed Salah the “Muslim Extraordinaire”, is viewed as a pious, committed, loyal and kind Muslim-family man. This is stated by everyone everywhere. His Islamic mode of life is well noticed and acknowledged not only by his hometown and country, but by the world. The Egyptian press has publicized Mo Salah’s charity work in Egypt so much that some were a bit suspicious and even envious of him. It is said that he paid in charity: twelve million pounds for 57357 Hospital of Cairo (one of the biggest hospitals specialized in children’s cancer in the world), five million for HIV research and treatment, two schools at his hometown, provided funding for needy newlyweds, donated kidney dialysis units, neonatal incubators, and funded an ambulance center unit. Sharif Habib, the former president of El-Mokawloon Sporting Club, attributed Mo Salah’s success to his good intentions, his parents’ supplication to Allah for him, his righteousness, commitment and good manners. The Italian newspaper “Corriere Dello Sport” in early 2017 published an article about Mohamed Salah’s life, career and most importantly his secrets to success which according to the article were his piety and religious commitment, reading the Qur’an, spending his time with his wife and daughter. He neither drinks alcohol nor smokes and has no tattoos on his body. The phenomenon “Muslim Extraordinaire” of Mohamed Salah is undeniable. Do we attribute it to his talent and dedication or, do we consider him blessed with talent and rewarded for his hard work, good self and deeds? It’s not enough to be talented and hardworking to maintain your status and keep growing. You need to give back and maximize benefits to yourself, family, community, humanity and the world; it’s the means by which you keep and increase the blessings you have. “Enjoining what is good and forbidding what is evil and believing in Allah” is not always the work of an Imam or an Islamic preacher, yet it is the role of each and every Muslim not only by preaching but by being “Islam on feet”. In fact, it is one of the most important, noblest and most sublime duties of a Muslim. Mohamed Salah doing what he does in the best way he can and being a righteous Muslim is, in fact, an Islamic religious duty which he is fulfilling perfectly. No Matter how this season ends, he has earned the love and respect of millions around the world, and he is a truly amazing “Muslim Extraordinaire”.